Fire warden, fire awareness and fire extinguisher training courses conducted onsite tailored to meet your needs and budget. All of our assessors have passed our Institution of Fire Engineers approved Fire Risk Assessment course. Fire Compliance and Safety NI provides Fire Risk Assessments, Fire Safety Training and Fire Safety Consultancy to businesses. The company head office is based in Belfast with locally based Fire Risk Management Consultants throughout Northern Ireland. 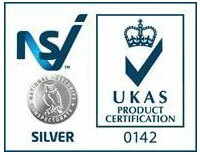 We have a wealth of experience in the Fire Safety Industry with consultants specialising in all aspects of Fire Safety. Our team of Professional Fire Risk Assessors are all highly experienced, carry professional indemnity insurance and deliver insurance approved Fire Risk Assessments. Fire Compliance and Safety NI has a satisfied network of clients, throughout Northern Ireland of all types, including schools, hotels, nursing homes, children`s nurseries, pubs & clubs, restaurants, social clubs, medical centres, churches, dentists, filling stations, industrial units and offices. We also work with facility management companies, commercial and residential property managers and commercial conveyancing solicitors. Our Aim is to provide businesses with a service that keeps them Legally Compliant, Fully Insured and most importantly SAFE from FIRE. We pride ourselves in recommending the most cost effective route to achieving minimum legal compliance. We offer a Free Fire Safety Health Check to all Businesses to explain the New Fire Safety Legislation and check you have fulfilled your Insurance Policy Requirements to ensure cover following a fire incident. At this visit we can also deliver a no obligation quote for any services required. If you would like to take advantage of this Free Service please call our Head Office on 02825 861334 or complete the on-line enquiry form and we will arrange for your Local Fire Risk Advisor to contact you. 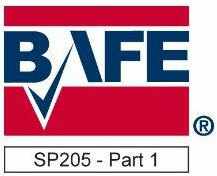 Fire Compliance & Safety NI are proud to have been certified by the National Security Inspectorate (NSI) to BAFE Scheme SP205 - Life Safety Fire Risk Assessment. We were one of the first companies in Northern Ireland to gain this accreditation which has been designed so that companies providing fire risk assessments can demonstrate their competency.